View Cart "16 in. x 5 in. Silicon Carbide Base Block" was successfully added to your cart. SKU: 008240. Category: Crucible Base Blocks. 7 in. x 4 in. 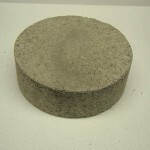 Silicon Carbide Base Block – fits #20 thru #30 crucibles.